Есть вопрос для Samlanjed Guesthouse? Обновленный в 2015, Samlanjed Guesthouse гарантирует гостям приятное пребывание в Чиангмай, независимо от того, находятся ли они в деловой поездке или на отдыхе. Отсюда, гости могут всецело ощутить преимущество удачного расположения и близости ко всему, что может предложить оживленный город своим туристам. Для осмотра достопримечательностей и интересных мест в округе, не нужно далеко ходить, так как отель находится недалеко от Храм Пхаджао Менграи, Wat Phra Chao Mengrai Temple, Thai Dessert. Воспользуйтесь богатым выбором услуг и первоклассным сервисом в этом отеле города Чиангмай. Бесплатный Wi-Fi в номерах, Wi-Fi на территории, парковка, оборудование для барбекю, ресторан всего лишь несколько услуг, которые выделяют Samlanjed Guesthouse среди других отелей города. В отеле 3 прекрасно оборудованных номеров, с доступом к таким удобствам, как Wi-Fi (бесплатный), номера для некурящих, письменный стол, вентилятор, телевизор. Помимо широкого выбора услуг для отдыха, предлагаемых в отеле, у вас останется много возможностей развлечься не выходя из отеля. Получите истинное наслаждение от первоклассных услуг и элитного расположения Samlanjed Guesthouse. Гости в возрасте 2 лет и старше считаются взрослыми. Гостям, прибывающим вне часов работы стойки регистрации, необходимо связаться с объектом напрямую заранее для организации заезда. Place is quite well located (10 minutes from center), and 5 minutes from a great market. People there are helpful and give good advice on where to go, etc. Small guesthouse (only 4 rooms approx. ), easy to meet other friendly travelers. The room we had was exactly the same as the ones in the pictures. A good place to stay ! One thing to say, but that wasn't a problem to us : the bathroom and showers are not on the same floor as to rooms. But not a bother at all. I booked this guesthouse on the look of the picture of the room, but was disappointed to discover the photos they show don't correspond to the room. The room was cinder block walls, with broken window and stained curtains. I've been to chiang mai many times but this place is overpriced for what they offer. If your a young backpacker and just walked up by chance you might like this guesthouse, because the staff speaks excellent english. For me they need to be more honest with their pictures of the rooms. The guesthouse is actually very old and dirty, messy. It is much worse than what we see in the photos. We thought that we went to the wrong place actually. Bath room is crazy dirty, more dirty than some public toilet. The light was broken in my room and they gave us a dark lamp instead. And the owner talked about it as if it was not their responsibility and we had to accept it. When we asked for some tourism information, they didn't know anything and recommended us to ask other guest. My feeling is that they don't really want to do this business anymore. I stayed a week or so there as a solo traveler and I loved this place! As the owners were moving the guesthouse next door, the place was still under some adjustments. The guesthouse is a traditional wooden house off the the main streets so not much traffic during the day, quiet at night. Just a few rooms, so very peaceful. Lots of space to chill out in the front yard. Roelof and Patriya gave me a warm welcome and were very helpful about what to do in Chiang Mai. They made my stay very easy and pleasant. Ask Roelof for a bbq night, I'm sure he will be very happy to arrange some good stuff on the grill for you. Very, very friendly place. They even threw a farewell party for me! My best stay ever in Chiang Mai after many times there. Would recommend this place for sure. the rooms are very hot, walls are thin, people are nice. One night was enough. The photos don't show the actual guesthouse. Do not look any further: book this Guesthouse! We just left Chiang Mai where we stayed at Samlanjed for 2 nights. It was the best guesthouse of our 2 month trip so far. Why? 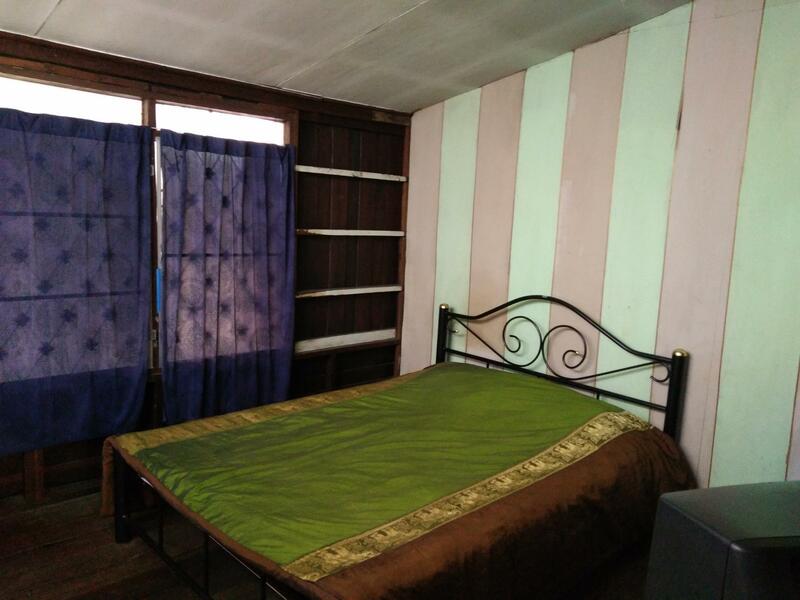 Perfect location (close to market, walking street, park etc but at the same time a nice and quiet street), very nice and helpful owners (you can book all tours with them at very good prices) great bbq's (we did 3 of them and they are so good), very big room (bed is indeed a bit hard but you get used to it and nice warm shower), free bicycles (we used them all the time to go to the zoo, lake and the old center itself), a lot of movies to choose from and cheap breakfast (she makes really good pancakes). Above all the room is very cheap. We have to thank Roelof for making our stay such a good experience. Although he looks unfriendly, he is a very good guy and very helpful. If we come back to Chiang Mai we will definitively go back! I stayed this guest house for 4 nights. I wouldn't recommend it. because they didn't clean bath room and my room even once. the bath room was so smelly I think it because they didn't collect the bin next to toilet whole my stay. they gave me a bath towel only once. no toilet pepper last 2 days, no bin collecting in my room, the balcony was full of dust. I had to wipe the table, chair and floor up. so I didn't like those uncleanness. and there is a bar across the street and next house does Karaoke sometimes..I couldn't sleep till 1 am one night. the rooms can be too hot due to no air-conditioning. that was little bit tough for me. the owner of the guest house, the lady was kind and nice. and wifi was ok. shower pressure was ok. It was wonderful stay, the owner is super friendly and helpful, rooms are clean. Perfect condition for this price. Tasty coffee!! Located in the center, so a bit noisy, but overall experience is very positive ! The hosts would give us great tips and advice on tours. We took a tour by their recommendation and it was one of the best ones we did. The place itself is clean and very spacious. We had a BBQ with the hosts one night and the prices there are very reasonable. I reccommend it !!! Good for short stay, could be a better place to stay if Air-condition provided. Travelling recommendation and cultural communication. 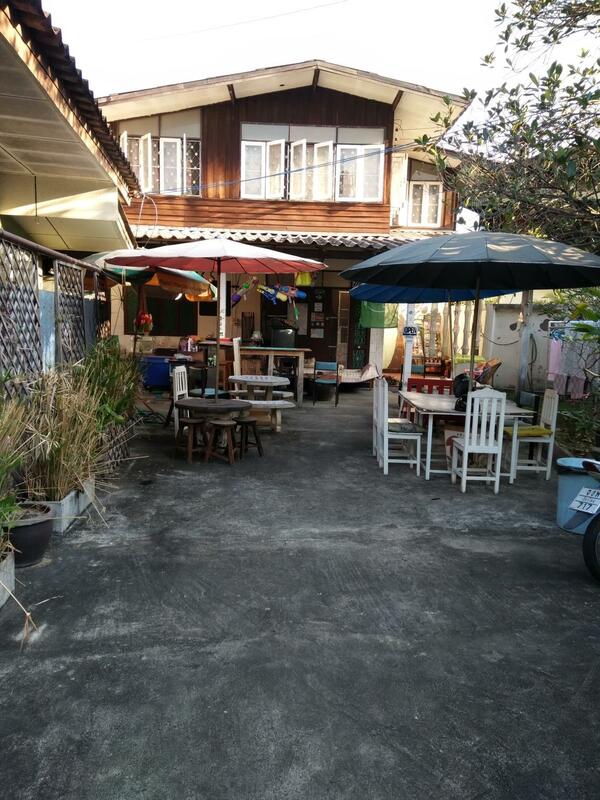 This guesthouse is a lovely cottage with only 3 bedrooms but the bedroom is comfortable with clean shared bathroom. I had stayed here with my mum (a middle age woman)for 2days and had a good chat with 2 nice host. We had great long conversation till mid-night cause the host(fat man-u know it)was really a awesome man. If you need any help for travelling around the old city, never hesitate to ask the host. I promise you can get the best recommondation and enjoy your journey in ChiangMai. The Samlanjed is a great alternative to the typical hotel accommodation. Because this is only a three room guesthouse, it is easy to feel like you are staying with good friends rather than a hotel. The owners are not only approachable but also happy to share information about the city with their guests. I definitely know where I am gonna be staying next time I am in Chiang Mai. All day breakfast provided. Very nice to stay in the ground floor with the garden, but a bit hot when staying in the room during day time even with the opening window.